Nice! The week will end again. I can't wait to have some good quality sleep. This week was a hectic one. I had alot of work to finish, some evaluations, test and inventory. But i don't wany to waste the free time just in house doing nothing. I decided to call one of my good friend, Jacq to have some good conversation while having a good coffee at the same time. We went to starbucks. 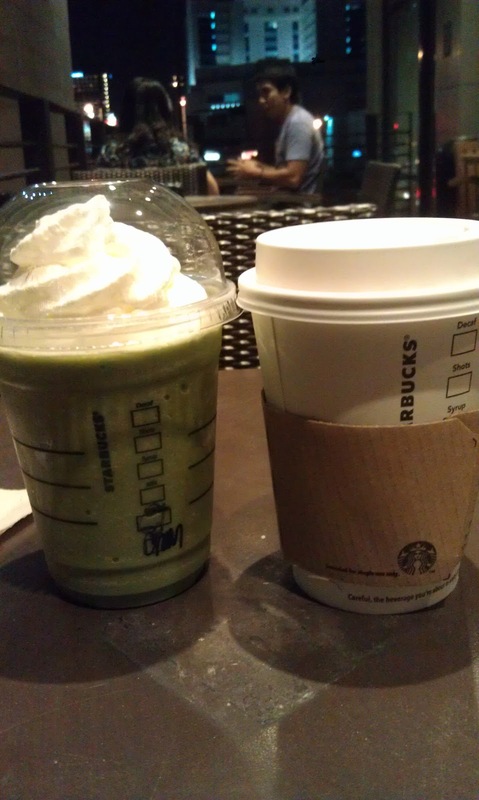 We ordered the same thing, Signature Hot Chocolate for me and Green tea frap for Jacq. I like having hot chocolate at this time. It was raining and I don't have my baby. Well, baby is my new Honda CR-V SUV that my dad gave me when I finish my college degree. Anyway, It's payday so it's my treat. :) It's been a long time without seeing jacq. I missed her so much. The good talks and ofcourse the book that she always bringing together with the coffee. She is a fan of the author of Harry Potter book (sorry, i forgot the name of the author). Good thing that i had some newspaper ad an iPad so I listen when she reading her book. She wants to focus on her book than me. hahaha!